As you guys may know, I am an ambassador for Visit England and as a result I am lucky enough to be spending my weekends exploring beautiful destinations in my very own country. 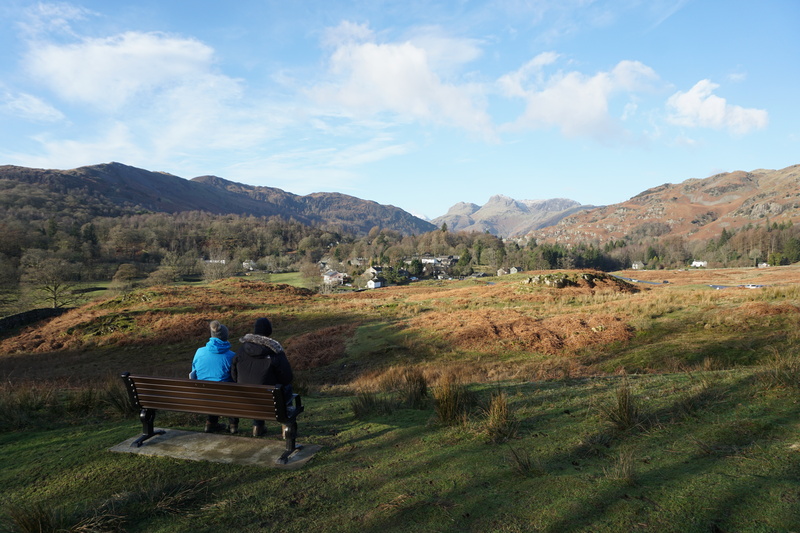 This January I decided to head to the Lake District with my parents, to celebrate my mums birthday. I have been a couple of times during my childhood but that’s an awfully long time ago now (I mean, I am a full fledged adult!) so I was well overdue a return visit. It was quite honestly one of the most beautiful weekends, we were blessed with clear blue skies and cold crisp temperatures. Perfect for a countryside escape. 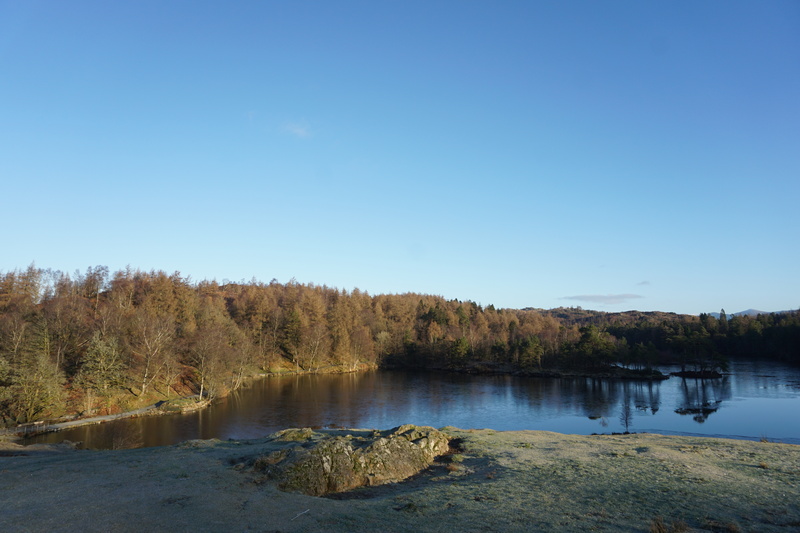 8.30am – Travel: I caught the train up from London to Windermere, a 3 hour journey which passes in a blink of the eye. I got on in the bustling Euston station and got off in peaceful rolling hills, it felt like a different world. 11.30am – Bowness-on-Windermere. My parents and I started off by exploring Bowness-on-Windermere, a small town right on the lake edge. It is packed full of independent shops, cafes and delis. A great spot to pick up a coffee before you set off on your adventure. 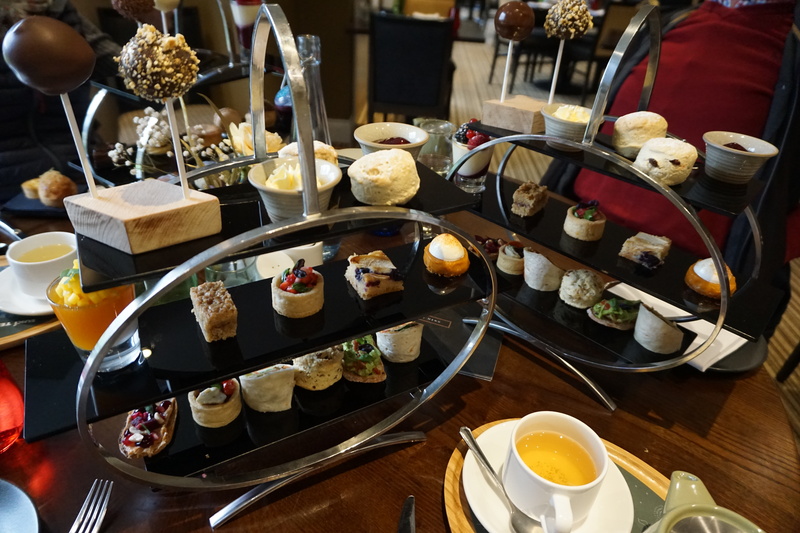 1.30pm – Lunch: We headed to Daffodil Hotel and Spa for their renowned afternoon tea. It certainly lived up to expectations and yes they had a vegan option! The hotel has a beautiful location overlooking Grasmere lake and the afternoon tea itself is incredible. Light-bites, cakes and scones galore. I couldn’t believe it was vegan! 2.30pm – Grasmere: After afternoon tea we wandered down into the centre of Grasmere and explored this quaint little village. It is most famous for its gingerbread, which is sold in a tiny cottage complete with traditionally dressed bakers. Don’t miss it. Not only is the gingerbread delicious, authentic and traditional, it is 100% vegan! We picked up 5 bags…. oops! 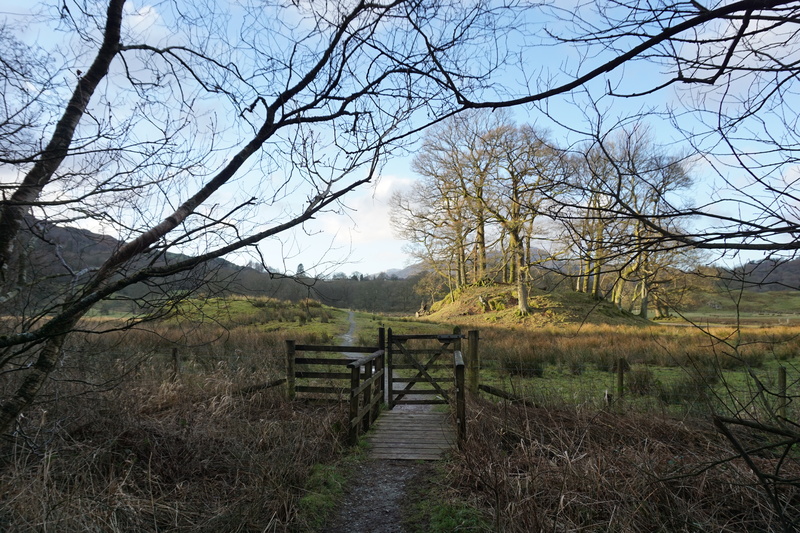 3pm – White Moss Wood: After purchasing our gingerbread, we drove down to the White Moss Wood carpark and set off walking down the nearby paths – not knowing our end destination. 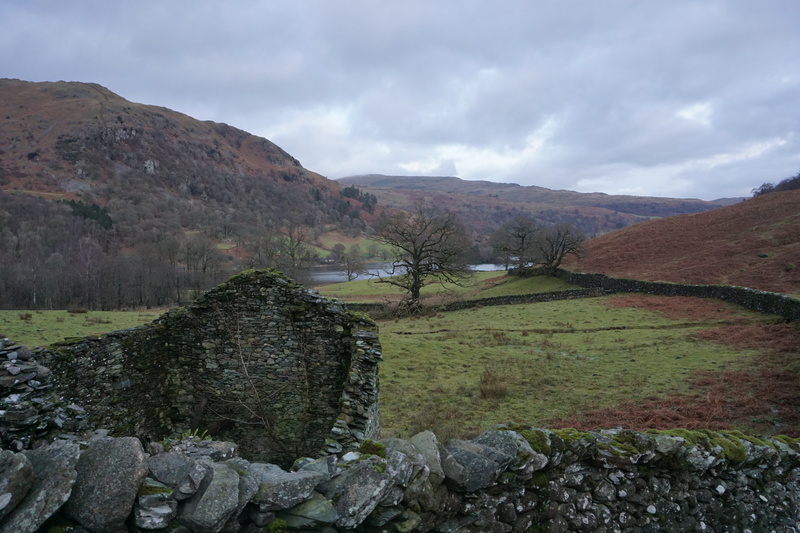 We ended up discovering a stunning route which took us all the way to Grasmere Lake and round to Rydal Water – two picturesque lakes. Don’t be afraid to stroll down a path and see what you find! 4.30pm – Accommodation: We headed to our accommodation for the weekend, The Osprey, a self-catering Unique Home Stays property. 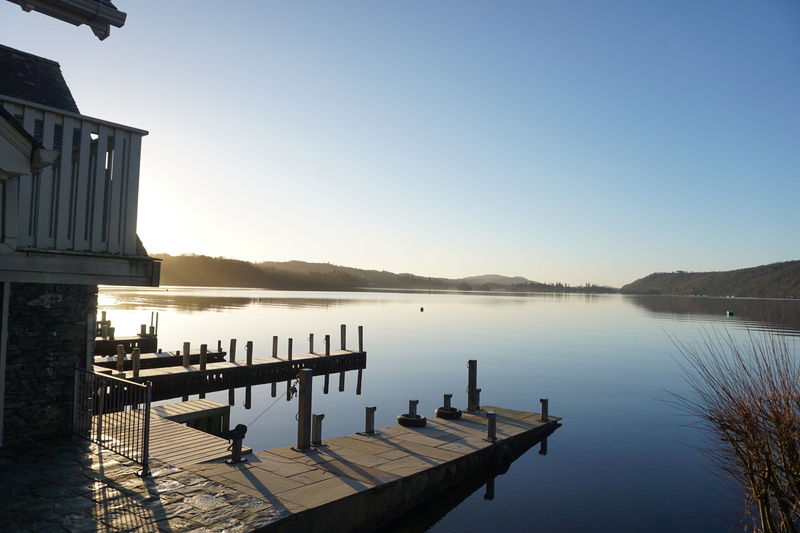 It was an absolutely beautiful boathouse overlooking Lake Windermere, complete with an open plan kitchen, living, dining room and en suite bedrooms, with panoramic views. It was all recently refurbished and beautiful decorated. 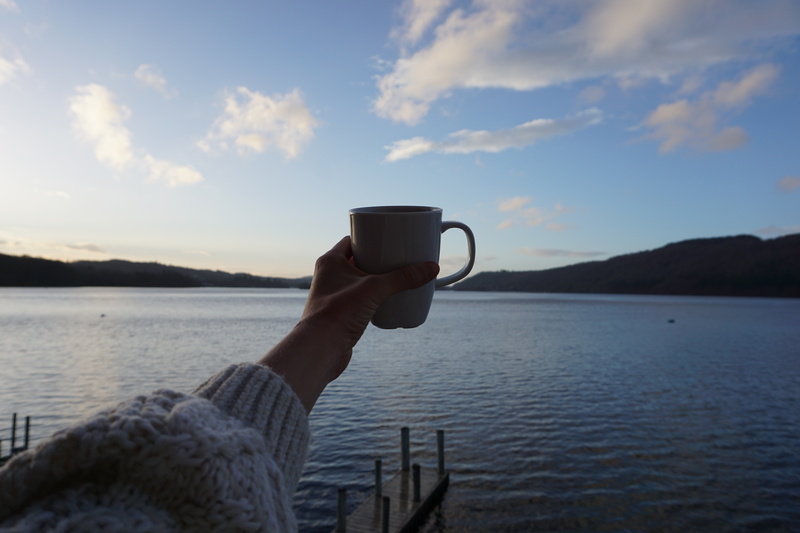 Waking up every day and drinking my morning coffee on the balcony was a little slice of heaven. Oh and did I mention that all guests are greeted with a personalised hamper full of local produce? It was literally the dream. We felt super spoilt. 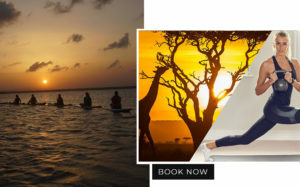 (Contact: +44 (0) 1637 881183 or here). 7pm – Dinner: We drove into Ambleside and dined at Fellinis, a vegetarian restaurant with a mediterranean twist. The food was delicious, wholesome and served super fast. It even pleased my meat-eating parents! 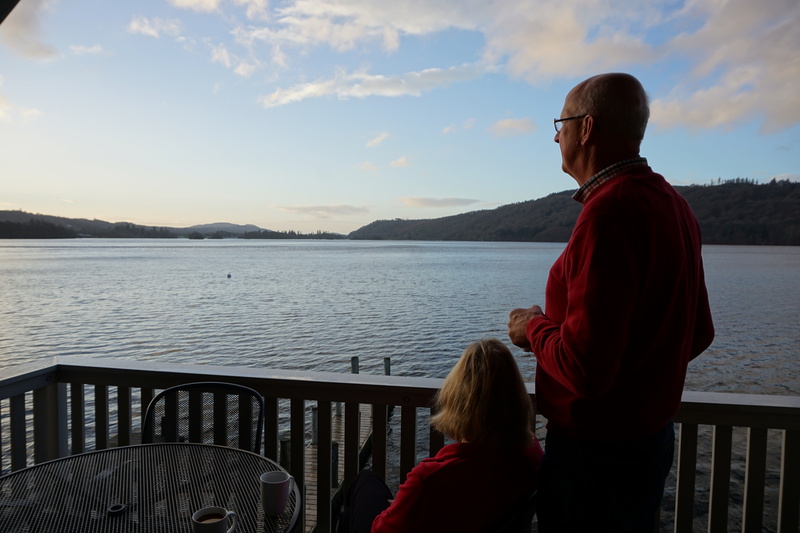 8.30am – Breakfast: We woke up and had a celebratory birthday breakfast for my mum on our gorgeous balcony over Lake Windermere. You couldn’t hear a single sound except the gentle lapping of the water. The perfect start to our day. 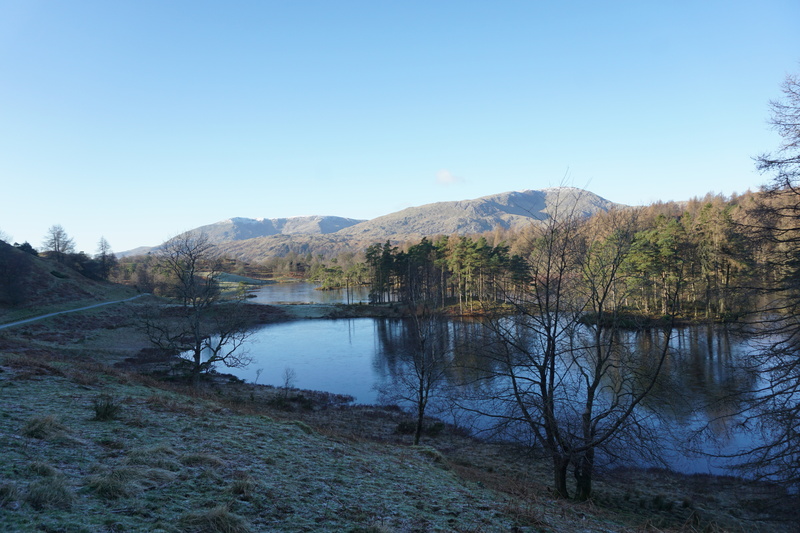 10am – Morning Walk: We headed to Skelwith Bridge, parked up and set off on a walk which went around Loughrigg Tarn, through Elterwater village and brought us back to Skelwith Bridge. We were surrounded by dramatic scenery the whole time, it was beautiful. The route was from one of my mums old Ordinance Survey books, but you can find a similar one here. 12pm – Lunch: Since we were in the area of Skelwith Bridge, we popped to the extremely popular Chesters On The River for lunch. This entirely vegetarian restaurant is renowned for its fresh, wholesome and delicious food. I had an epic brunch of spicy beans, pickled onions and avocado on toast along with my favourite coffee, an oat flat white. There is also a shop attached to the cafe, which is one of the best I have been to in a long time. It is crammed full of unique little trinkets, books and gifts. I could have done all my Christmas shopping there – don’t miss it! 1.30pm – Afternoon Adventures: After lunch we drove over Kirkstone Pass – a truly magnificent route right through the middle of two mountains, be sure to drive through it if you can. 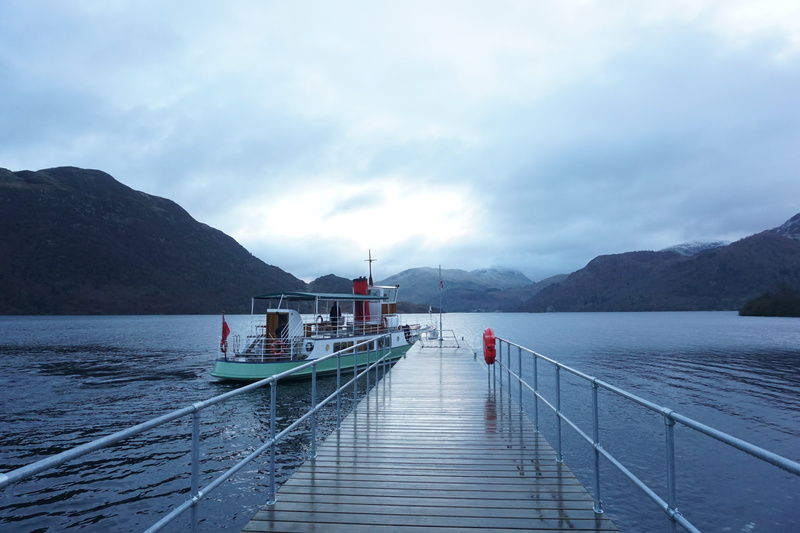 We ended up in Glenridding and jumped into an Ullswater Steamer – a traditional Victorian steam boat – and took a ride across the lake to Aira Force. This is a truly authentic and historic experience, and an opportunity to view the lakes from a different perspective – on the water. At Aira Force we hiked up to the top of the waterfalls and took in the stunning views, a true reminder of the beauty of nature, before heading back to the steamer and sailing back to Glenridding. 6pm – Dinner: Again we drove into nearby Ambleside and dined at Zeffirellis, the sister restaurant to Fellinis. It is a bustling restaurant which again serves epic vegetarian food. I loved the unpretentious menu which was a true people pleaser, we all left satisfied! 7.30pm – Stargazing: This was one of the highlights of our weekend. We drove to Grisdale and met up with Robert Ince from Go Stargazing for an evening of astrological exploration. The Lakes is one of the few “dark spots” left in the Uk where you get incredible views of the night sky with little to no light pollution. We took full advantage of this using our bare eyes, binoculars and some pretty badass telescopes. I saw the Milky Way for the first time, and even glimpsed a shooting star. Honestly, it was just incredible. There is nothing which makes you feel more grateful to exist than realising how expansive the universe is and how tiny we really are. 8.30am – Breakfast: Again, we kicked our day off with coffee on our balcony as well as a slice of freshly made bread from a local bakery with some peanut butter and jam. Yum! 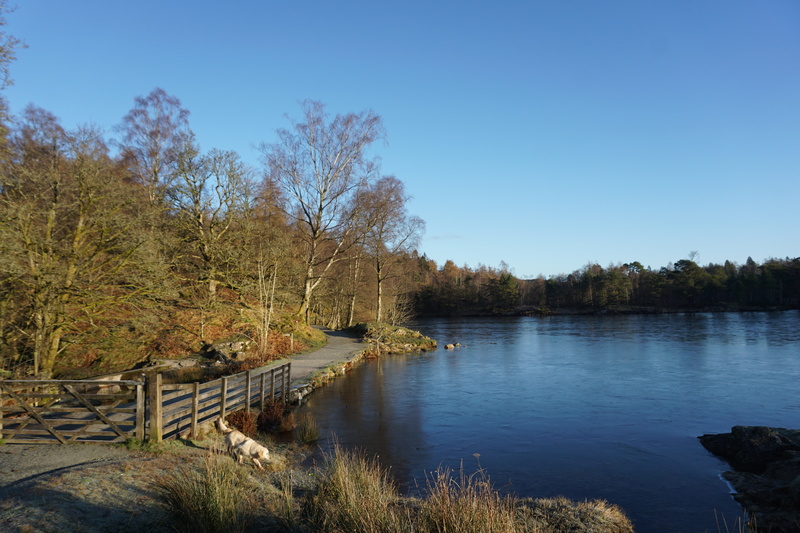 10am – Morning Walk: For our morning exploration we headed to one of my parents favourite spots in The Lakes, Tarn Hows. This small lake is one of the most picturesque I have ever been lucky enough to see. 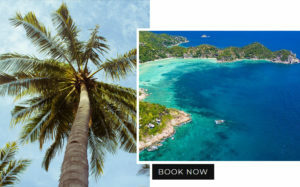 It is surrounded by snow capped mountains, dense forests and rolling hills. Not to mention is was frozen over, which made it even more gorgeous. We headed off around the lake, and even nipped off onto some of the neighbouring paths to have a little explore of the surrounding area. As I said, don’t be afraid to venture off the beaten track and try out the less travelled paths – you never know what beautiful valleys you might discover. 12.30pm – Lunch: After finding out it has the same owner as Chesters On The River, we headed to the highly recommended Drunken Duck Inn. The food here was vegan and vegetarian friendly – I actually bumped into the owner and she is vegan – but also has meaty options so it can cater for all. When it comes to the meals, all I can say is WOW. The food is nothing short of incredible. The mezze sharing board was the best I have ever had, not the mention the chickpea curry. Oh and the oat flat white coffee! It was literally my dream food. I can’t recommend it enough! 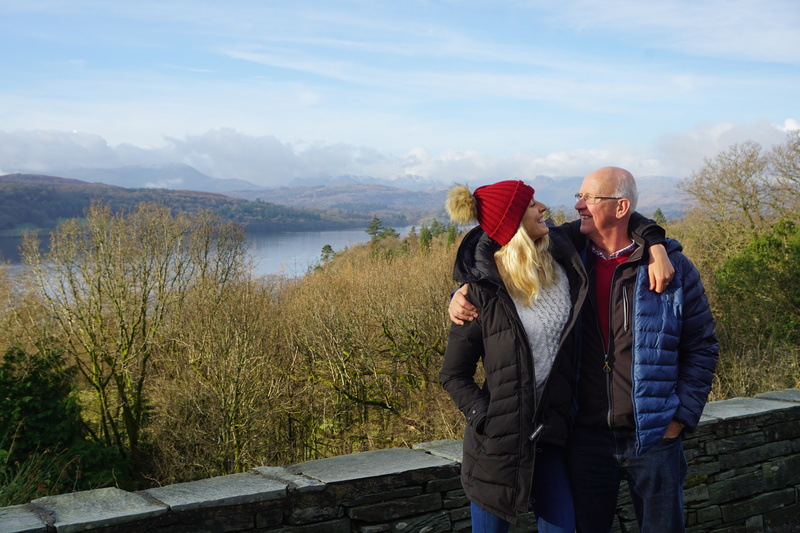 2pm – Afternoon Adventures: To finish off our weekend in The Lakes, my parents and I drove to Hawkshead, a quaint village nestled between the hills, and explored it on foot. Again, it was packed full of independent retailers selling lots of unique goodies from paintings by local artists through to homemade chutneys. 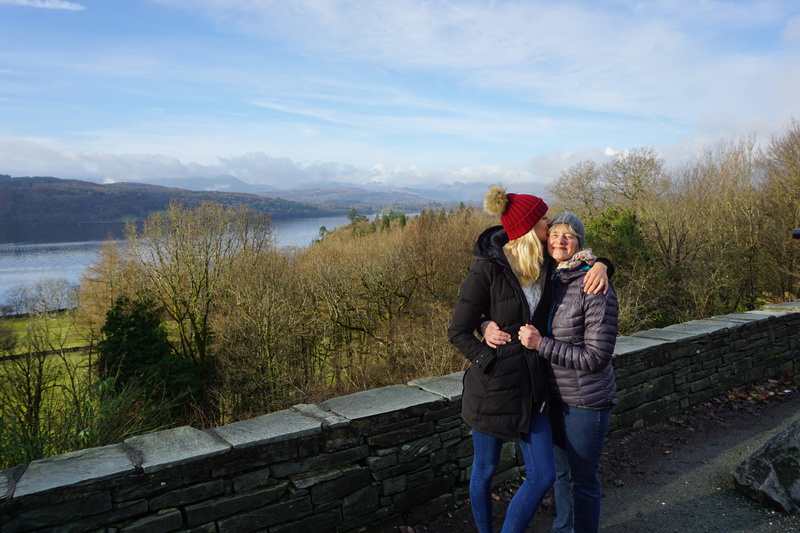 4pm – Heading Home: As we drove back to the train station we decided to head over Lake Windermere on the traditional car ferries available, as one last authentic local experience! Then I hopped on my train and was back in London by 7.30pm. Phew – what a whirlwind few days! Make sure you have a car. 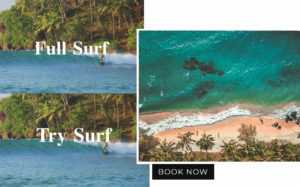 Either take your own, rent one or go with a friend who owns one! Everything is accessible by car. Foot and public transport isn’t going to cut it. On the subject of cars, prepare for the car parking fees. Some machines take card, some don’t. Make sure you stock up on coins to avoid getting into a sticky situation. Dress appropriately. The lakes is known for its unpredictable weather. Although we were lucky with sunshine we did get one or two sporadic rain showers, and it was bitterly cold. Get on your layers, dig out your waterproofs and wrap up warm. Get there early. Understandably, due to its beauty the Lakes are busy at the best of times. If you want to enjoy a walk without seeing another soul (which is how I personally like it) – make sure you hit the paths early in the day. I absolutely loved exploring the Lake District with my parents. As someone who was born and raised on a farm in the countryside, I feel most at peace surrounding by rolling hills and lush greenery. The Lakes provided just that, and so much more. I will definitely be visiting again soon! You can see more photos from my trip on my instagram accounts here and here. 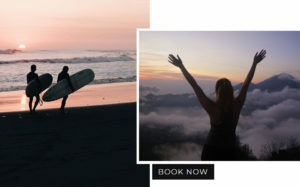 If you want to find out more about exploring England then click here and if you want to start planning your trip to the Lake District, click here. Disclaimer: This blog post is proudly produced in collaboration with Visit England. View my previous Visit England blog posts here and here.